COMFORTABLE STYLING, EDGY VIBING: Our customers love these boots because you can wear them all day and all of the night, and you won\u2019t regret it afterwards. 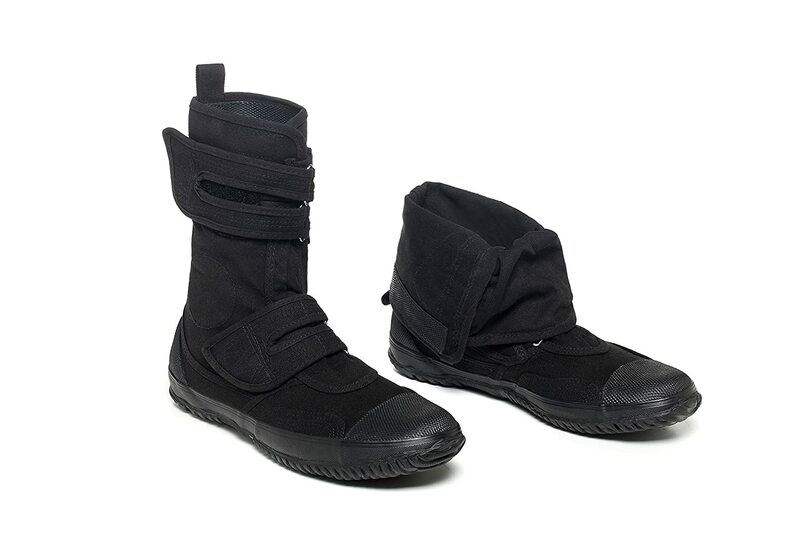 Your feet are cradled in breathable canvas with a grippy, flexible sole that\u2019s light yet indestructible, all while sporting a cutting-edge, unisex, punk or Goth look. We have removed the Steel Toe for reduced weight and increased flexibility and comfort. FEEL GOOD ABOUT YOUR FASHION: If you\u2019re looking for a more eco-friendly alternative to leather or synthetics, we\u2019ve got what you want. Built with no animal products, woven with fabric and shod in rubber, these boots can be embraced by anyone looking for more sustainability in their wardrobe choices. Fugu supports the VEGAN Choice in all our collections. LIGHT, DURABLE, ANYTIME, ANYWHERE: Slim and close-fitting, these tall ankle boots can fold down to accessorize your outfit as you please, along with almost infinitely adjustable straps to accommodate a wide calf on down. They\u2019re light enough to wear in warm weather, and layer with thermal socks to easily handle the cold. They make a great gift for the cosplay person in your life. Plus, we offer a free size exchange if the pair you choose isn\u2019t a perfect fit!